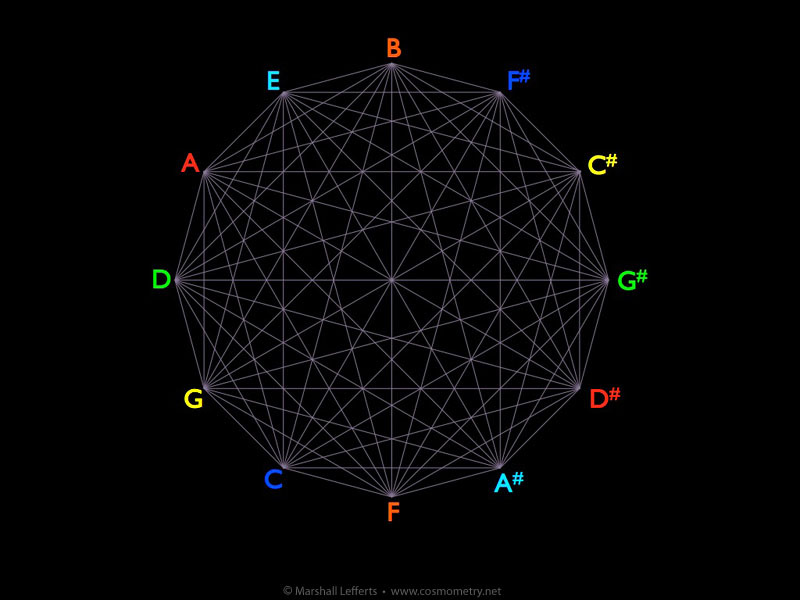 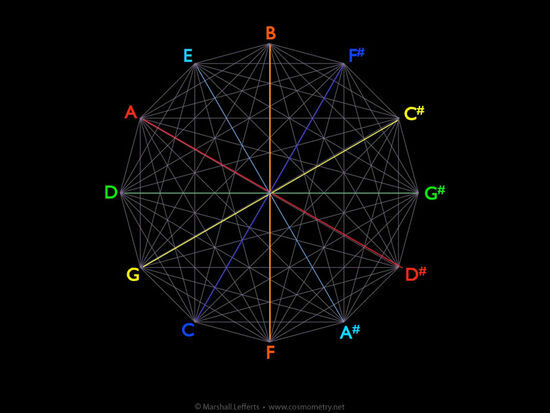 Buckminster Fuller stated that the vector equilibrium is composed of six-pairs of equal and opposite vectors radiating from its center point. 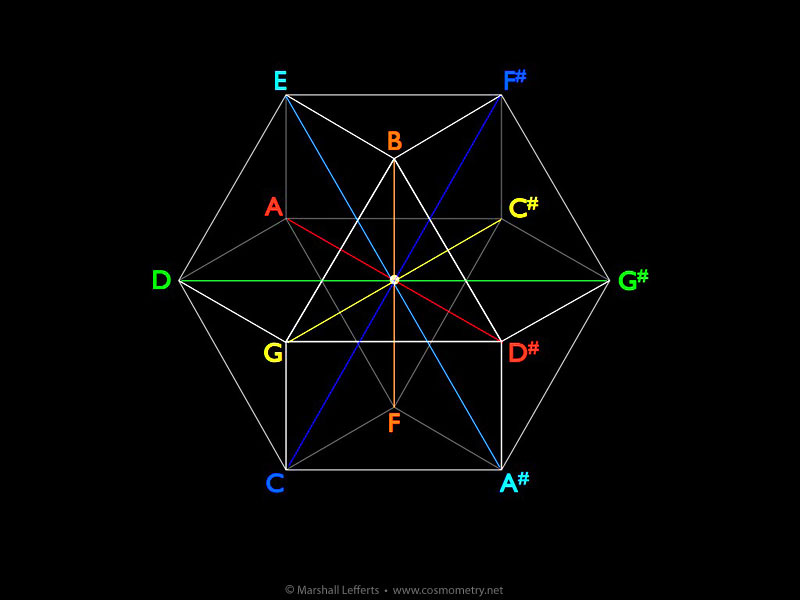 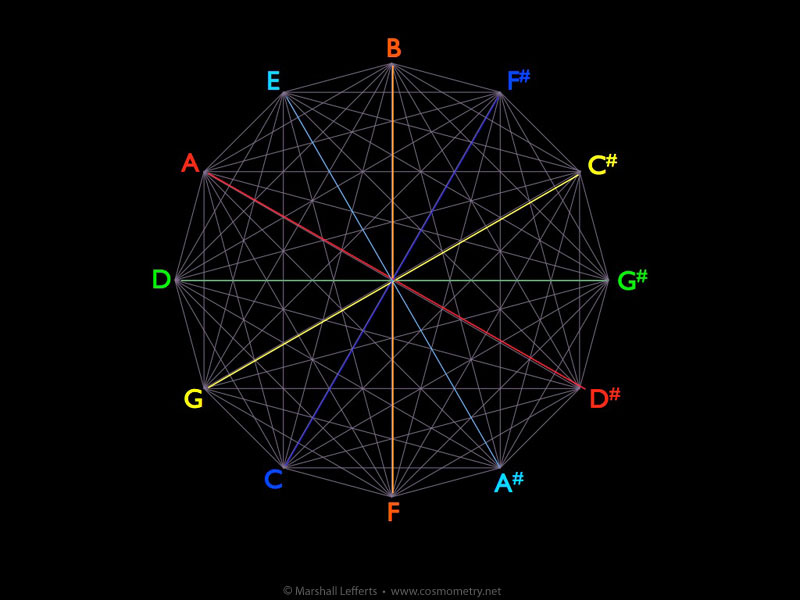 The music system aligns with that model conceptually, though of course the frequency differences of the actual tri-tone notes are not equal. 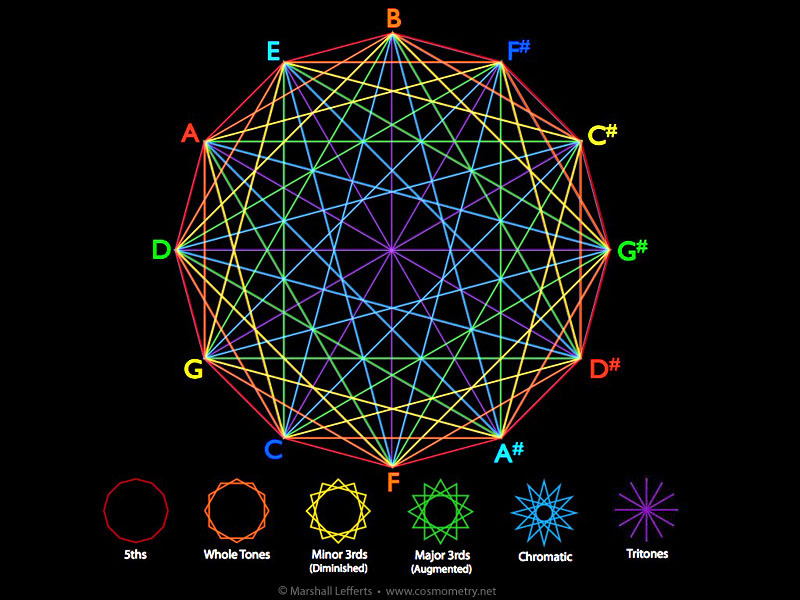 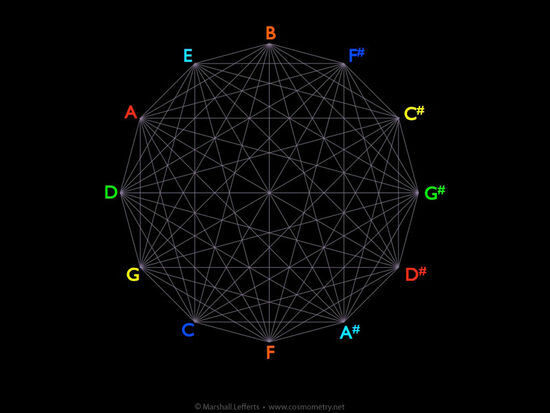 Next... we'll explore a fundamental aspect of the music system in The Tri-Tone Duality of Music.